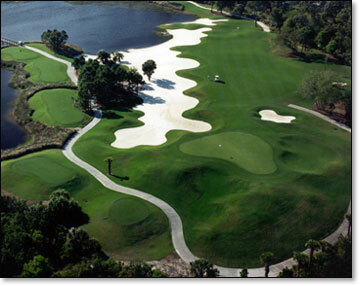 We have been extremely fortunate to hold our golf schools at the Indian River Club in Vero Beach, Florida. This will be our thirteenth year at this facility and we could not ask for a more friendly place. Indian River Club offers our golf school participants a first class practice area including a private tee box at the back of the range. It also includes a short game area where we cover all types of scoring shots, such as chipping, pitching, uneven lies and bunker shots. We utilize a large practice green that is in pristine shape to strengthen green reading skills, distance control and putting technique. Another highlight of the golf school is that each afternoon, we adventure to the golf course to develop course management on an outstanding, challenging but friendly course. There are four sets of tees to vary the length of the course and the skill level for each golfer. With breath taking views and warm weather in February, it is hard to beat this unique experience. Embracing the true spirit of the game of golf and the natural beauty of the site, the 18-hole, 7013 yard, par 72 Indian River Club course is rich in breathtaking views, but ever so sensitive and respectful of the natural environment. 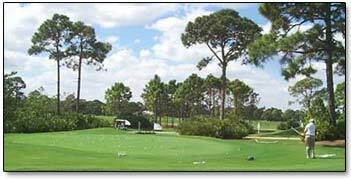 The course was designed to provide a total golfing experience, to be challenging yet enjoyable. Reminiscent of traditional courses built in the 1920's and 30's which embodied classic golf course design, this course also offers a truly rare cross-section of four distinct and pristine natural environments. with white sugar sand, large clear lakes and marshes; the eastern quarter has hammocks of old oaks and towering sand pines; and holes #5 and #6 play along an ancient coastal sand dune with elevations up to 48 feet. Another valuable feature of the course is the excellent drainage. When many other area clubs need to close as a result of heavy rains and standing water, Indian River Club rarely closes. More often than not, the day following a heavy rain the course has recovered and is ready for play! Take 528 (Beeline Highway) east to I-95 South. From I-95, take exit 147 (Vero Beach exit) east on State Road 60. Drive. Main gate is about 1 mile on the right. Follow I-95 north to Ft. Pierce, take exit 131B for Orange Avenue (west). Follow the exit ramp onto Orange Avenue. Turn right (north) at the first light onto Kings Highway (Route 713). Follow Route 713 north for about 9 miles until it ends at the intersection of U.S. Highway 1. Turn left (north) onto U.S. Highway 1. Continue approximately one mile to the traffic light at Highland Drive.